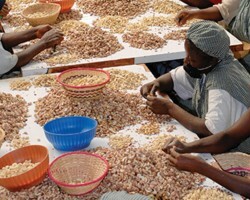 APA-Bissau (Guinea Bissau) — Guinea-Bissau has set cashew nuts price at 500 CFA per kilogram, Alberto Mendes Pereira, the Chief Inspector of the Ministry of Commerce said on Wednesday. 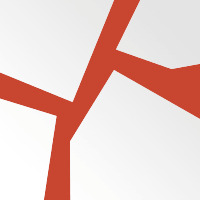 APA – Bissau (G/Bissau) By Nouha Mancaly — Renovation works on Bissau’s Osvaldo Vieira International Airport are set to begin thanks to a 27 million Euro loan (CFAF17.7 billion) from the West African Development Bank (BOAD), the Transport and Telecommunications minister announced on Tuesday. 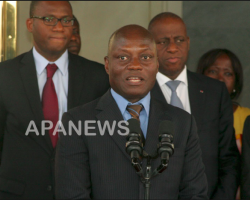 APA-Bissau (GBissau) By Nouha Mancaly — Domingos Simões Pereira, is expected to take his second oath as Prime Minister of Guinea Bissau and take office later this week, APA learned on Monday from official sources. 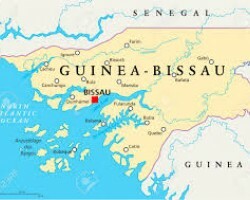 APA - Bissau (Guinea-Bissau) By Nouha Mancaly — The Prime Minister of Guinea-Bissau, Aristides Gomes has told journalists that it would be unfair of the government to impose a tax on the marketing price of cashew nuts, given that the market is free and exports depended on the international market. 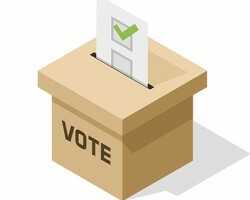 APA-Bissau (Guinea-Bissau) By Nouha Mancaly — The African Party for the Independence of Guinea and Cape Verde (PAIGC) won the 10 March parliamentary elections, securing 47 out of the 102 seats in Parliament. 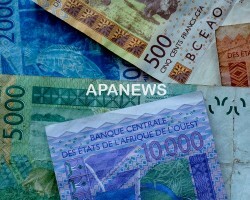 APA-Bissau (Guinea-Bissau) — The ruling African Party for the Independence of Guinea and Cape Verde (PAIGC) and the Democratic Party of Guinea-Bissau (APU-PDGB) signed a political agreement on Tuesday evening in Bissau to ensure government stability for four years, APA can report. 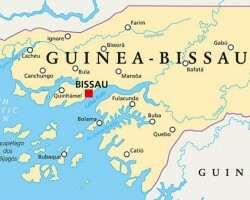 APA - Bissau (Guinea-Bissau) — Guinea-Bissau’s ruling African Party for the Independence of Guinea-Bissau and Cape Verde (PAIGC) has declared that it won Sunday’s parliamentary elections, although the provisional results of these elections are due to be published tomorrow Wednesday by the National Electoral Commission (CNE).